Greer Steel’s SMS Demag hot roll slitter is at the front end of our operation. This machine not only processes all grades of hot roll, but it accurately and efficiently processes our Ultra High Strength Steels. This .300” x 60” line is capable of processing material at speeds up to 900 feet per minute with yield strength up to 160 ksi and shear strength up to 120 ksi. We know that you prefer products with improved strength, formability and weight savings over conventional steel. At Greer, we’ve expanded our high strength, low alloy steel offerings to offer ultra high strength grades. Greer Steel’s No. 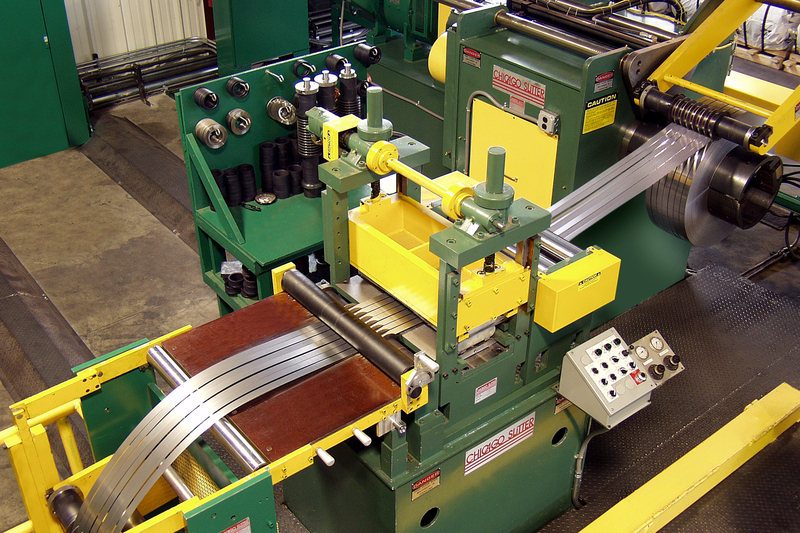 1 slitter is a Stamco 30″ slitting line with 9.5″ arbors. Both heads utilize shimless tolling for improved width and edge quality. With a pit and in-line tension stand, Greer Steel can precision slit .225 gauge down to .015 gauge, and widths from .500″ wide to 30″ wide. Greer Steel’s No. 6 slitter is a Paxson line with a 6″ arbor. The No. 6 line can precision slit gauges from .012 to .060 and widths from .250″ to 24″. Max OD of 52″. 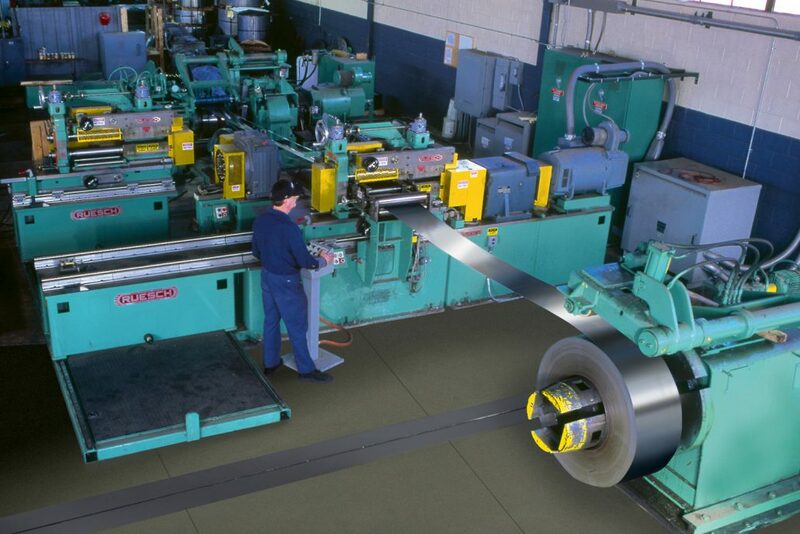 Greer Steel’s .187″ x 60″ Chicago Slitter with a 60,000 lb maximum coil capacity has every feature that is needed to provide quality materials for our customers. The Chicago Slitter features shimless tooling for improved slit edge and width tolerances, resulting in high quality edges for our customers. The addition of the dual head Ruesch slitter increases our capacity and capabilities to respond to customer needs for larger coils up to 63″ in diameter. 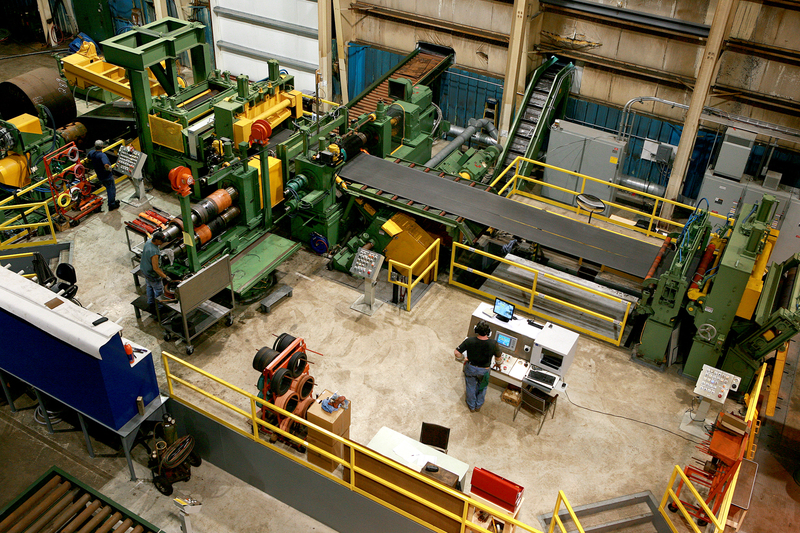 The Ruesch Slitter was added to the Greer Steel line as part of a major capital investment completed in 2014. These improvements were part of our ongoing commitment to provide customers with exceptional products and services to meet their needs.